The weather is finally cooling down here, which is so nice. Some days, it even feels like autumn, my favorite season - for the colors, but also, for the perfect temperatures. Not too hot, not too cold. Chicago is emptying of its summertime tourists and bracing for whatever winter will bring. Right now, things are perfect. 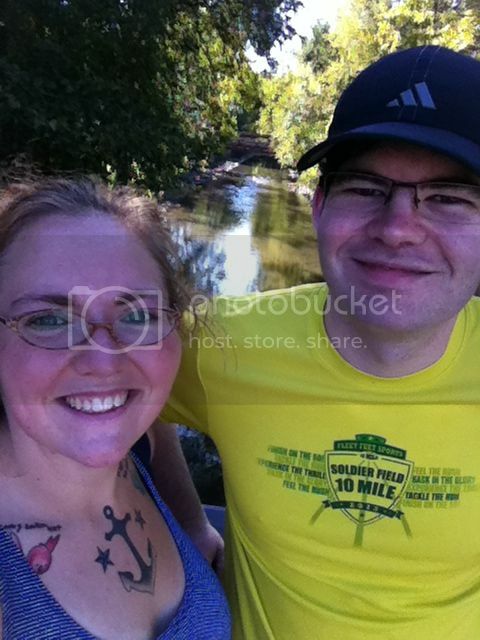 Last week, Matt and I took a 15 mile walk to/around/most of the way home from Chinatown, south of our apartment. For this week's long walk, we headed north for a nearly 13 mile trip. It was less scenic than the Chinatown route was - no wild, graffiti-d ethnic neighborhoods - but we still had a really great time. It's a wonderful bonding opportunity - we walk, we talk, we discover what's near our home, and we burn a few calories. We stopped at a Peruvian corner market and found a drink he'd heard of and wanted to try. We also stumbled upon a candy and nut factory that we had no idea was in our neighborhood, and popped into their open-to-the-public store to browse. We first went a few miles north and a bit east to Devon Avenue, the traditionally Indian/Pakistani neighborhood. Matt remarked that it's the part of the city that reminds him most of New York City, and I certainly agree. It's a vibrant, colorful neighborhood, and of course, there are a ton of really great restaurants. We stopped for dinner at a place his Pakistani colleague recommended, and we had a terrific meal. He had a grilled chicken dish, and I had aloo palak (spinach with potatoes). We also both had naan (flatbread) and a samosa (a savory appetizer filled with potatoes, peas, and chickpeas). It was quite good, and we left feeling full but not stuffed, perfect since we still had a few miles to go. 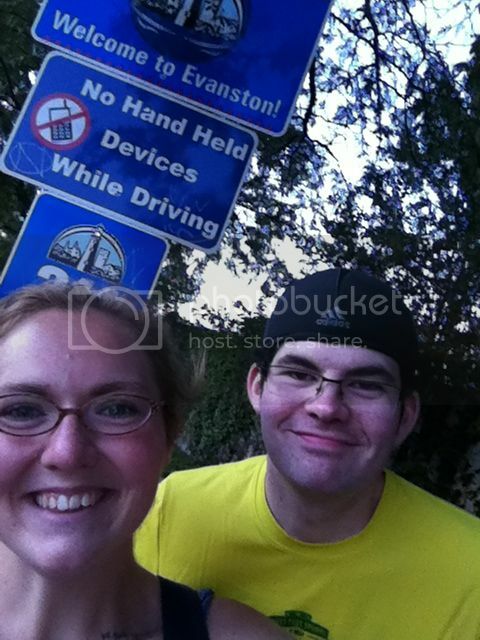 We continued east and then continued north until we left Chicago city limits, entering Evanston. Back in early July, on our 42+ mile bike ride, we went from the city's southernmost border (IL/IN state line) to the northernmost (Chicago/Evanston), so we have a similar picture next to a nearly identical sign from there. This was more inland, though, whereas July's excursion into Evanston was along the lakefront bike trail. It was starting to get dark, but we carried on, and eventually made it to the Evanston/Wilmette town line. Into a whole nother town! 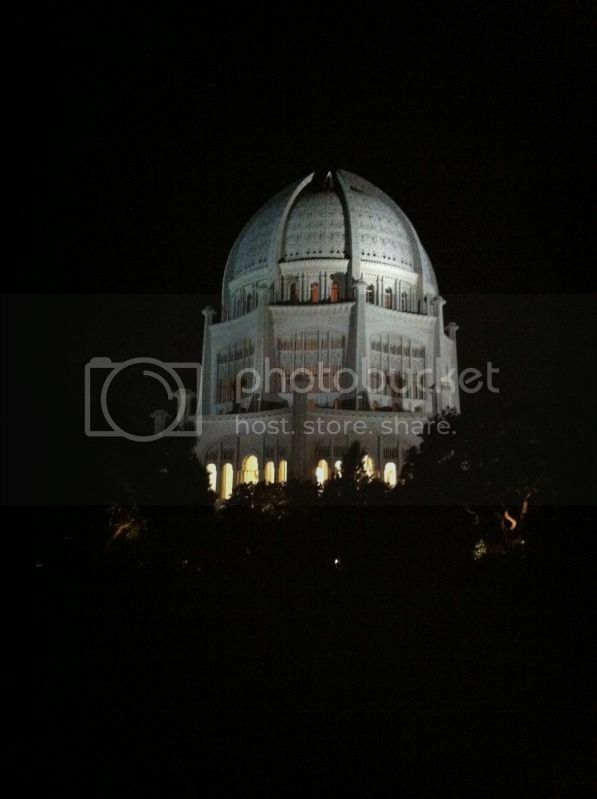 Our destination was a mile or so past the town line: the Baha'i House of Worship. We went into the main auditorium and looked around for a while, taking in its overwhelming magnificence. It's an absolutely stunning building with incredible grounds - I've only ever been at night, but I'd love to go back in the day some time and explore the gardens and fountains. We walked down the street a short distance further, and found ourselves at Linden - the last stop on the Purple Line train. 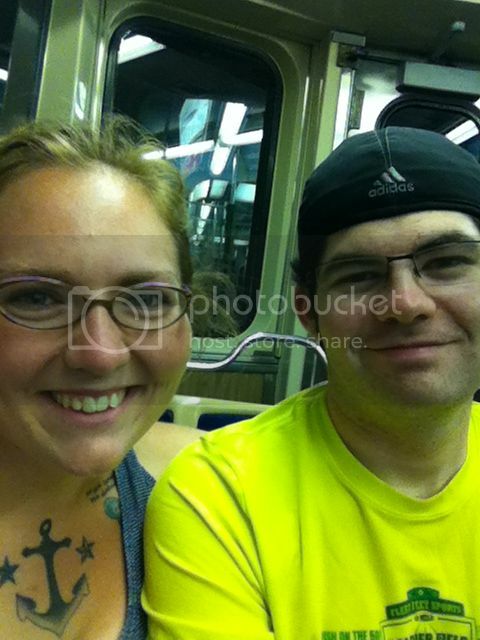 We thought about whether we should walk back home or take the train, and since the last three miles or so had been very poorly lit, we decided to just jump on the train and head home. He wore his Garmin, and clocked it at 12.74 miles - pretty good, I'll say! I am absolutely loving these little adventures we're going on, and I hope we can get a few more in before the snow comes. You look so happy. You two have a sense of adventure that can make any day one to remember. Take care. sounds lovely and you seem much happier now that you're "home" cant wait to hear about your next adventure. Ha. I haven't cried because I'm still dumbfounded, as in, "There's no way I'm wearing those clothes right now." ahhh. what an awesome long walk. I had plan to try Indian food really soon, but then the only Indian restaurant around here caught fire and shut down. Boo! Guess I'll be trekking to Philly instead. Your smile makes me smile and tells no lie. :). What a great day!! We live in the suburbs, but we love taking our girls to Chicago (we're only about 45 miles from there), so I love hearing about the walks you take because it gives me ideas on where we can go! Thanks for sharing!